Print consumables are a product that earn a great deal of profit for print equipment manufacturers. But print consumers don’t have to pay exorbitant prices for toner cartridges and other print supplies. While brand-name ink and toner cartridges enjoy the manufacturer’s guarantee of reliability and print quality, this doesn’t tell the whole story. In fact, no printer cartridge brand enjoys a 100% success rate – the best original equipment manufacturer (OEM) cartridges enjoy a 98% success rate. On the other hand, our remanufactured cartridges offer a 96% success rate at a vastly reduced cost. Many of our customers have made the switch and are happily enjoying significantly lower costs-per-page while improving the value of their document-related processes. Investing in remanufactured cartridges allows businesses to cut costs without sacrificing quality. It also carries important implications for the environment. Efficiency-oriented executives have a clear incentive to stop overspending on new OEM printer cartridges. Remanufactured toner can cost up to 40% less than the equivalent OEM cartridge. Instead of letting cartridges end up in landfills, recycle them easily with Office Technologies. Cartridges are calibrated to each brand’s OEM specifications. How Are Remanufactured Cartridges Different? Every laser printer toner cartridge primarily consists of a small plastic shell containing laser toner and a rolling drum that deposits toner on paper during the laser printing process. There is nothing inherent to the cartridge that prevents it from being reused after it depletes itself of toner. Remanufacturing is the process of refilling the cartridge, repairing wear and tear, and reusing the product as it if was a new cartridge. The entire process is far less expensive than the process of building brand new cartridges and filling them with toner. The process of remanufacturing cartridges can be complex. Not only remanufacturers keep their cartridges in temperature-controlled environments with specific humidity, but they must also repair damage, thoroughly clean the cartridge, and sometimes even replace chipsets in order to guarantee quality. This allows toner cartridge remanufacturers to offer their products to businesses at far lower prices than imaging manufacturers can compete with. This is one reason why some manufacturers claim that remanufactured toner is less reliable than brand-new toner, but independent testing tells a different story. Remanufactured toner can cost up to 40% less than the equivalent OEM cartridge. These savings translate directly to lower costs-per-page, greater office productivity, and increased efficiency in the workplace. We remanufacture toner cartridges using sophisticated technology that verifies, cleans, and refills spent cartridges with unprecedented accuracy. We calibrate our systems to each brand’s OEM specifications, ensuring that the finished cartridge is indistinguishable from a new one, offering OEM performance at a fraction of the OEM price. Imaging industry professionals know that remanufactured toner cartridges cost less to create than brand new cartridges do. The reason behind that price difference is also a major contributor to corporate environmental sustainability. Remanufactured toner cartridges cost less because they use less raw materials. By directly repairing, recycling, and reusing spent cartridges, organizations do their part in preventing cartridges from ending up in landfills and reduce market demand for newly manufactured cartridges. Despite the fact that 97% of the original components in a toner cartridge are recyclable, people throw away up to 375 million toner and ink cartridges every year. Instead of letting these cartridges end up in landfills, Office Technologies encourages its customers to recycle them. We offer a free toner recycling program to all of our customers. This program helps organizations minimize their carbon impact, reduce the number of toner cartridges that end up in landfills around the world, and decrease their own print consumable costs significantly. 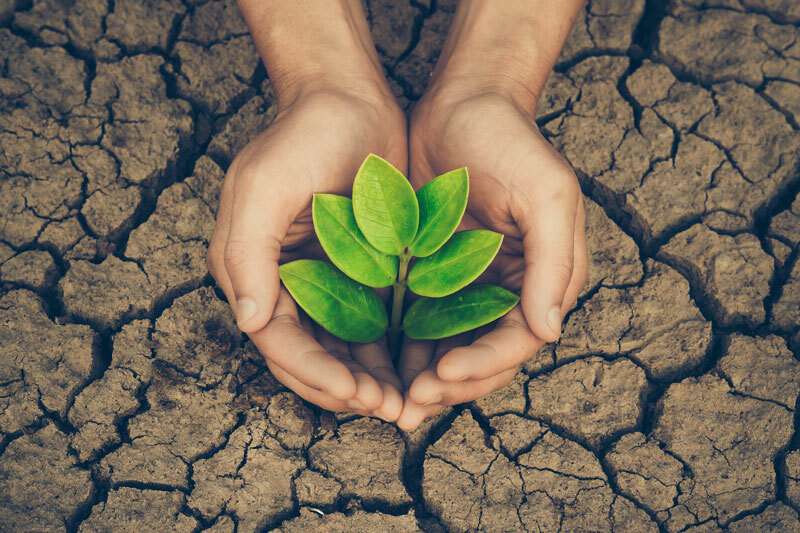 Businesses looking for value-added solutions for establishing a positive environmental impact can use our free toner recycling program to set an example for corporate sustainability initiatives. Keep toner cartridges out of landfills and pay less for every page you print. Stop overspending on expensive manufacturer cartridges. Speak to a toner cartridge specialist and find out how you can improve cost-efficiency while maintaining print consistency.